Ceramic, 18k gold, precious stones, leather, diamonds: all essential ingredients in any bracelet with a $150,000 asking price. And at first glance, Christophe & Co's Armill Apollo looks like any other insane luxury accessory. It's a mens bracelet designed by the Pininfarina design house in Italy and each piece will be individually customised to the wearer down to the size of their wrist and hand engraved, personalised messages. There's also some very subtle tech elements behind the scenes. The bracelet is NFC and Bluetooth connected and has a one button valet press which we sends a message, we assume automated, to your personal assistant via the connected smartphone. We say 'your' in the sense that we are only addressing anyone fantastically wealthy enough to a) have a personal assistant and b) be considering buying an Armill smart bracelet. Still, buying the most expensive Apollo edition gets you membership to a 24/7 concierge service for three years. 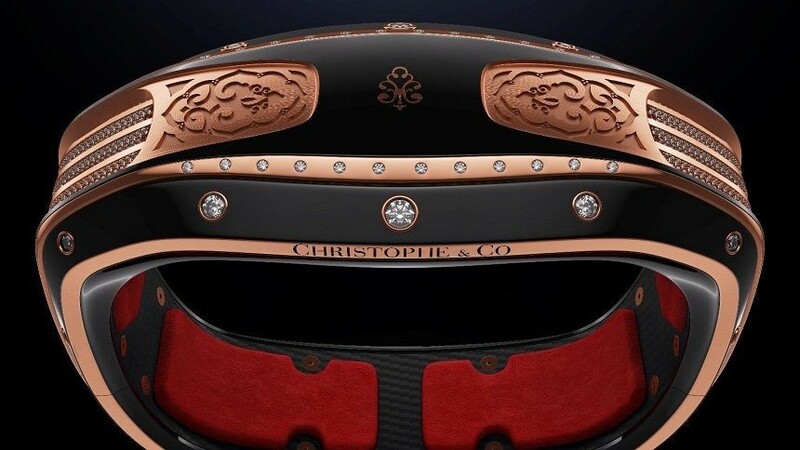 The other smart functionality boils down to authenticating the wearer's identity via the bracelet which Christophe & Co claim will be compatible with 'partner events and venues around the world'. There's also a promising wishlist of future features including gesture recognition, contactless payments and integration with smart homes as well as cars and yachts. Yes, yachts. It's a neat set of features for a niche target market but the overall design and tech decisions show a shrewd understanding of where wearable tech is heading. There's no screen, it's not supposed to replace your Breitling, so battery life isn't so much of an issue. Especially as Christophe & Co have made the Armill self-charging thanks to small rotors that generate power from the motion of your wrist. This bracelet is smart enough to take lessons from quartz watches, then. This should get you a year between charges, if you need to charge the Armill at all. Prices for the lesser models Virtus and Orion are $75,000 and $93,000, according to A Blog To Watch, with the Apollo costing the obscene $150,000. Christophe & Co is taking pre-orders for all three models of which there are only 425 being made in this limited first run. We could splurge on a Virtus, those private events in exotic locations with famous chefs do sound lovely, but we wouldn't want to be part of a club that would have us as a member.